We all know that cash transactions happen almost instantly. But, the story for cryptocurrency transactions is different. There are all sorts of other problems associated with their transaction speed and timing. In the cryptocurrency world, transaction speed means how quickly the transaction of money happens from person A to B. All cryptocurrencies have different speeds in this cryptosphere which sometimes makes them cumbersome to be used in real life. 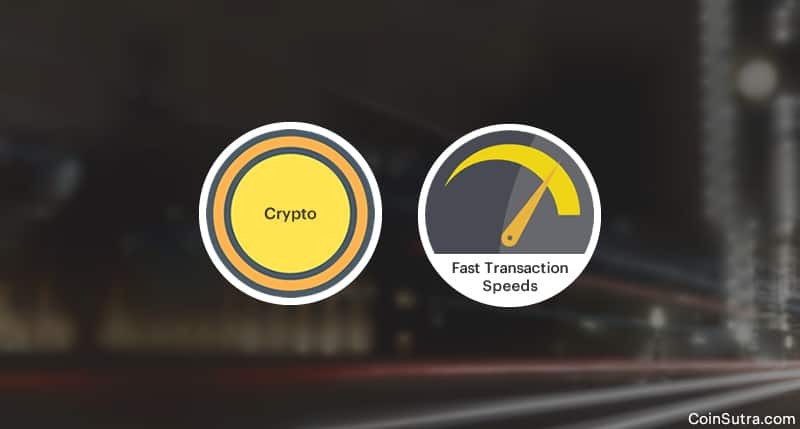 Your transaction speed is governed by a lot of factors while dealing in cryptocurrencies. That’s why it is important to know about their transaction speed. Note: I have not included below average coins irrespective of their speed because that is not the goal of this post. I am listing cryptos that have been around for some time and have fundamental use cases. Moreover, we are going to measure their swiftness in ‘time’, which means lesser the transaction time, faster the coin. Also remember, the coins are in no particular order. Dash, one of the oldest cryptocurrency in the market that popularized the concept of masternode governance, is a fast transacting coin. DASH’s average transaction time is 2 minutes 39 seconds. It is also known as block time. DASH, with its 2 MB block size, can process up to 56 tx/sec. The block size was increased from 1 Mb to 2 Mb last year. 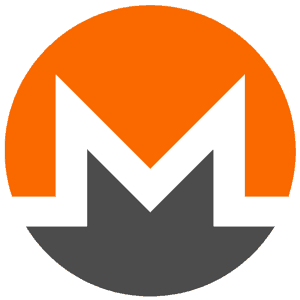 Monero is a purely community-driven coin which is popular for its anonymity and privacy. It is also quite fast with transactions. It takes an average time of 2 minutes to process a transaction in the next Monero block. Monero’s block size is dynamic, meaning it will keep on adjusting automatically as the average network volume grows. PIVX is another coin with a fast transaction speed and a focus on privacy. Also, it is a proof of stake coin that gives it an edge in comparison to other proof of work coins. It is a fork of DASH and has its block timing as 1 minute which means it takes a minute to process a transaction in the next PIVX block. Changelly – Exchange using BTC or buy using a debit/credit card. NEO is another delegated proof of stake coin that is quick with processing transactions and can process at a speed of 1000tx/sec. NEO cryptocurrency, the so-called Ethereum killer, takes 15 seconds to process a transaction on an average in the next NEO block. 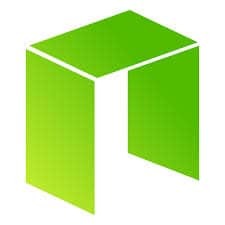 We have covered NEO in detail in the past. For more info, read: NEO Cryptocurrency-Everything You Need to Know about China Ethereum. 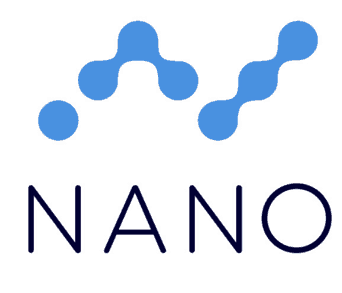 Nano, formerly known as Raiblocks, is a relatively new cryptocurrency that took form in 2017. Thanks to its block-lattice tech, it is very fast and can scale to a high degree. It typically takes 5-10 seconds in getting confirmations for a successful transaction through Nano. 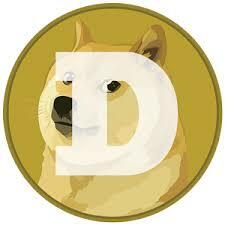 Dogecoin is a very old cryptocurrency that runs on proof of work consensus mechanism. This crypto is also really fast. It takes an average of 1 minute to process a transaction in the next Dogecoin block. However, Dogecoin is something I would not recommend to invest in as this project development has been dead for a long time. The Future Of Dogecoin: Is it worth investing in? Ethereum, the world’s computer, has recently been facing congestion due to its scalability problems. Moreover, it is thinking of moving to a proof of stake consensus in the future which will make it even faster. But as of now it typically takes 14-17 seconds to process a transaction in the next Ethereum block and handle up to 12 tx/sec. How Is Ethereum Blockchain Different From Bitcoin Blockchain? 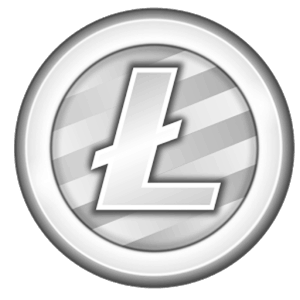 Litecoin is the silver standard in the crypto market. Litecoin, another forked currency out of Bitcoin, is quite fast and robust. It takes about 2:30 minutes to process a transaction in the next Litecoin block. Livecoin – Supported pairs are LTC/BTC, LTC/USD. 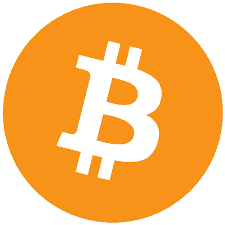 Bitcoin, the world’s first fully functional cryptocurrency is rather slow and takes about 10 minutes to process a transaction in the next Bitcoin block (provided the conditions are ideal). However, it is advised to wait for 6 confirmations before considering a transaction successful which means it can take up to 60 minutes in getting a transaction through the Bitcoin blockchain. Rival fork of Bitcoin that stirred a lot of controversies and still is, is one of the slowest in the market. Just like Bitcoin, its transactions time is 10 minutes per block which means it should take an average transaction time of 10 minutes to process a transaction in the next Bitcoin Cash block. 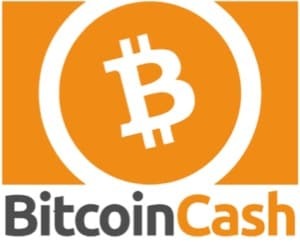 Best Bitcoin Cash Wallets (BCH): Free Money For Every Bitcoiner! WooHoo! These were the average transactions times of different cryptocurrencies but these are timings only for getting one confirmation. And generally, it is advised to wait for 6-12 confirmations in some cryptocurrencies so you if you calculate, it can take much longer. That’s why solutions like DAG, Tangle or Hashgraph or even Lightning networks are being developed so that it can accelerate the transaction speed as well as ease the criteria of considering a transaction successful. Try out these cryptocurrencies and let me know which one you like the most. Share your thoughts in the comments below! If you liked this article, please share it on Facebook and Twitter! It is but it is not decentralized enough, so haven’t included it. They have problems with their cryptography. why is digibyte not included on this list? Include Steem. Steem has 20,000 transactions per second. How does TRX stack up against these?